Fryeburg Academy: Jumping into Hurricane! Fryeburg Academy on their last morning! 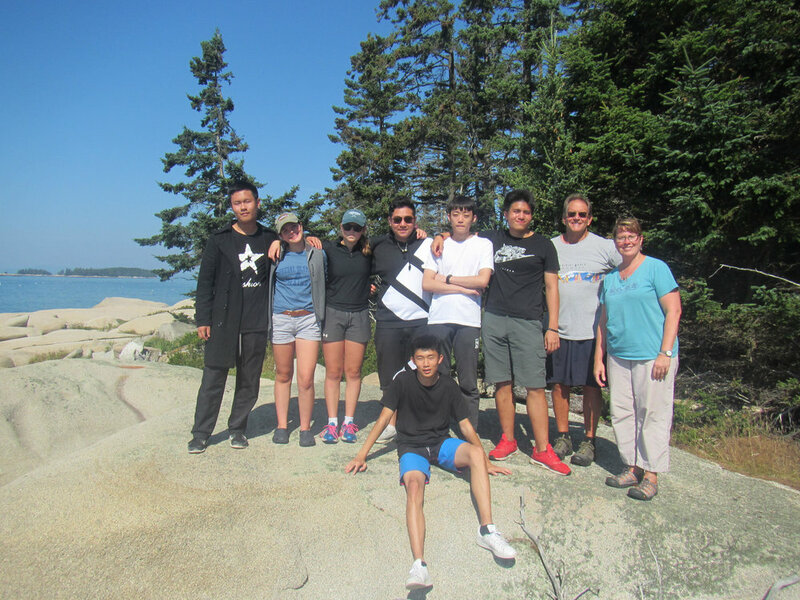 This past weekend, seven students from Fryeburg Academy’s AP Environmental Science class traveled to Hurricane Island. This is Fryeburg’s third trip to the island with their teacher John Urgese, who brings a new group of students every year. The group consisted of two local students from Maine and five international students from China. The crew landed on Hurricane Island on Saturday afternoon. Despite being late September, it was a hot day, and one of the first questions I received in the welcome circle was if we had any extra swimsuits. I was delighted to hear that a few of the students still wanted to brave our chilly waters and take the swim test. Rustling up a few extra trunks, four of the students decided to jump in after lunch. Jumping in goes against your instincts. The water is cold and wet, and the jump can be far. And yet for many, it’s an exhilarating thrill that feels so right. One of the students in particular, Ricky, after a couple jumps started to shiver, but kept wanting to go again. All of the students from Fryeburg Academy leapt into their time on Hurricane Island. While the group was only able to be here for 24 hours, we effectively utilized our time together. We went swimming, took a history hike, had a campfire, walked the perimeter trail, learned about climate change’s effects on our oceans, as well as how to use stadia rods to measure sea level rise in the field. It was a joy to have this group of engaged and inquisitive students who jumped right in to their time on Hurricane Island, both literally and figuratively.